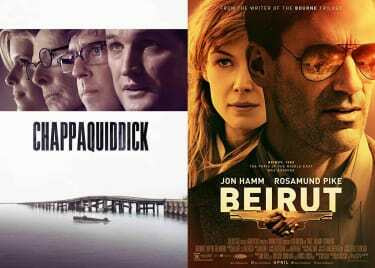 Rosamund Pike doesn’t have the name recognition she deserves. Maybe it’s the curse of the Bond Girl. Pike made her big-screen debut in Die Another Day, Pierce Brosnan’s final outing as 007. That film left critics and audiences cold, which should be no reflection on Pike. Since then, she’s cultivated a varied and forward-thinking career that brings us to 7 Days in Entebbe, hitting theaters soon, which recounts the counter-terrorist hostage rescue operation mounted after Palestinian and German terrorists hijacked a plane in 1976. Let’s take a look at some of Rosamund Pike’s best performances over the years. In one of her earliest on-screen performances, Pike portrayed the wife of famous poet John Wilmot of King Charles II’s Restoration Court in The Libertine. Though the film earned mostly negative reviews from critics, Pike’s performance was praised, even earning her the British Independent Film Award for Best Supporting Actress. While audiences had seen her dramatic talents on screen for years, Pike’s performance as Queen Andromeda of Argos in the action epic Wrath of the Titans also gave her a chance to show off her action side. Having replaced Alexa Davalos from the first film due to a schedule conflict, Pike smoothly embodied the character, resulting in one of her more underrated performances in an oft-looked-over film. In a film praised for its lead performer and blend of comedy and romantic heartbreak, Pike broke through and shined. In this indie dramedy about a man who constantly remarries after falling in love with a new woman, Pike portrayed the final wife of the titular character, which allowed her to truly deliver every emotional blow that comes from the film’s heartbreaking final act. After a handful of roles in poorly-received comedies, Pike got her chance to star in a trilogy already rife with success when she signed on for The World’s End, the final installment of the Cornetto Trilogy. Set in a small town where alien robots have replaced nearly all human inhabitants, Pike plays Sam, the sister to one of the main friends and love interest of two of them. In her standoff-ish nature to leader Gary (Simon Pegg), with whom she hooked up with back during the original Golden Mile crawl, and surprise at the malevolent revelation, Pike delivers stellar laugh after laugh for audiences to further fall in love with her. 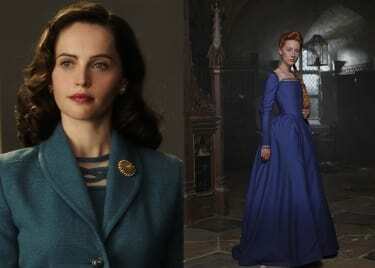 Over the past couple of years, Pike has really taken to the historical biopic genre, with 2016’s A United Kingdom being her first major entry into the world. Set around the true love story of Seretse Khama (David Oyelowo), the King of Botswana, and London office worker Ruth Williams in 1947, the film earned praise for many elements of the film, primarily for the performances and chemistry of its stars. Jane Austen’s novel has been one of the most acclaimed novels in history, and has been adapted a few times for both the big and small screens, one of the most celebrated being the 2005 big-screen adaptation. Playing Jane Bennett, the eldest of the sisters, Pike received rave reviews from critics, even earning a nomination for the British Supporting Actress of the Year from the London Film Critics’ Circle, marking this as her first major leap into the spotlight. It was hailed as the breakout role of Pike’s career, earning her 26 various award nominations, including a Best Actress Oscar nod. Set around the mysterious disappearance of Amy Elliott Dunne (Pike) and the increasingly suspicious evidence pointing towards her husband Nick (Ben Affleck), the adaptation of the 2012 novel earned acclaim for its faithfulness to the source material, direction and musical score, as well as the performances of its ensemble cast. Playing the missing wife, Pike perfectly captures the Amy from the novel and brings her to the big screen, thanks in part to the screenplay written by the author, delivering her best performance of her career. 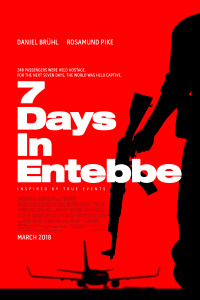 Check out her latest film, 7 Days in Entebbe, in theatres March 16!